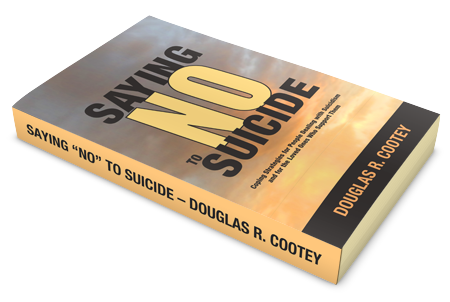 The plusses for ADHD often outweigh the minuses for me, mostly because I have trained myself to think more positively. For example, something funny happened to me the other day, but it could just as easily have been an opportunity to hate myself. I had a flu-like virus that knocked me out over the weekend. It was a nasty, evil thing, and my brain was addled on New Years Eve. Even though I had canceled our big plans to keep the illness to ourselves, my girls we're still expecting me to put on some sort of party. So, off to the stores I went. At WinCo, I saw they had a box of windshield wiper fluid at the entrance, so I grabbed a gallon, grabbed a cart, and started shopping. After about five minutes I noticed that my windshield wiper fluid was missing. Somebody had stolen it right out of my cart! The nerve! As I retraced my steps back to the front of the store, my eagle eye tried to catch the culprit, but to no avail. Eventually I made my way back to the beginning, and there I saw it. 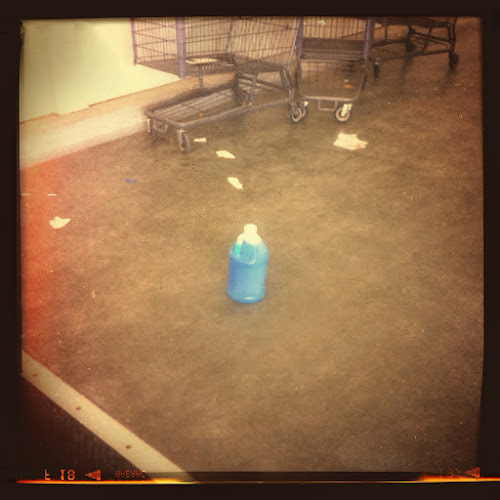 Sitting on the floor where the shopping carts where was a lone bottle of windshield wiper fluid. I must have put it down as I pulled out a cart, then left it there. No bottle thieves lazily swiping my hard gathered bounty. Just an ADHD nincompoop with half a brain. So I took a picture of it and had a good laugh. Got some funny stares, too, as I photographed a bottle of windshield wiper fluid in a very busy entrance. Keeping a sense of humor about me is key to how I manage my ADHD. No matter how hard I try to organize myself, there will always be some ludicrous incident born of my glitchy ADHD brain. Why not have a laugh? It usually is pretty funny. Besides, days like that are balanced by days like today. My cold had settled yesterday into my lungs and throat, making sleep difficult. So on a whim I baked banana bread for the first time in my life, slept fitfully for less than three hours, got the girls up for school, did the Brownie's hair, packed her lunch, got her on the bus, discovered the minivan's battery was dead, ran at full speed around an icy parking lot looking for somebody to give me a jump, drove the Leprechaun to school, put air in the tires, drove to two different Sears (the first had closed), got the battery replaced, emailed a client, prepared today's blog photo, and got home all before 9:30am. Hyperfocus and hyperactivity are the little gifts ADHD gives me to make up for the profoundly baffling way my mind usually works. And I'm OK with that.